The entire first season of Angie Tribeca premieres tonight on TBS for 25 hours straight. The series was created by the perfectly bizarre minds of Steve and Nancy Carell. Angie Tribeca is definitely an homage to Airplane! and The Naked Gun franchise. The show is nothing but goofy, brainless fun that doesn’t pretend to be anything more and that’s what makes it perfect. It knows what it is and gives you exactly what you want. You are going to be thrilled that the show is available to binge watch because once you check out the first episode, there is no way that you are going to want to stop. I will warn you that Hoffman (Jagger) steals the show in a big way. Those actors didn’t stand a chance against his comedic wit. Watch Angie Tribeca tonight at 9/8c on TBS. 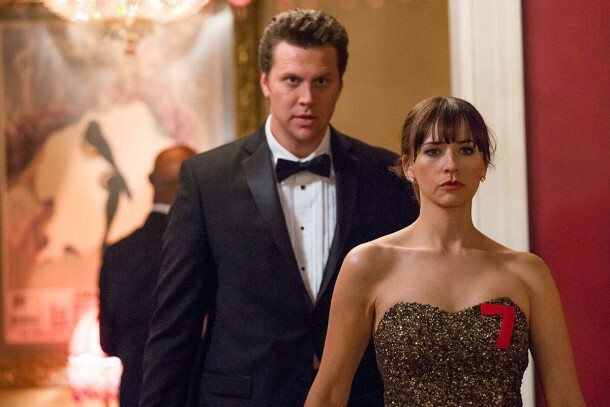 In the pilot, Angie Tribeca (Rashida Jones) meets her new partner Jay Geils (Hayes MacArthur). Apparently, she has had many, many, many partners. They give off a bit of that awesome Mike (Billy Gardell) and Carl (Reno Wilson) vibe from Mike & Molly. They compliment each other perfectly. Their first order of business is to find the mayor’s blackmailer. That leads them down a very interesting path that just doesn’t quit. The series, as a whole, is buffoonery at its best. It’s dumb, senseless, and exactly what you need to get you through another week of drudgery. Rashida’s real-life parents are also in the premiere. It’s the sweetest moment in the series. Welcome, Quincy Jones and Peggy Lipton. I can’t say enough good things about Hoffman. That gorgeous specimen gives it his all and serves it up with a side of humility. He’s well aware that he’s makes the show but doesn’t want to throw it in anyone’s face. His driving skills are unmatched. I’m sure they are already looking to cast him in the new Fast and Furious film. He even knows how to order a coffee at one of those snobby coffee shops. To top that off, he also looks amazing in hats. Hoffman is one-of-a-kind. He’s my hero. Continuing on with the season, Angie leaves no stone unturned. There is a pinch of everything in this series. No one is left out of the fun. They cover ventriloquists, ferrets, planes, automobiles, affairs, Quinceaneras, love, murder, kidnapping, poker, toilet paper, bombs, blackmail, adult babies, front butts, and so much more. The cases are tedious but they always manage to come out ahead. Someone always screams, vomits, and has a bad day but they solider on like the amazing detectives that they are. Just wait until you get to the ferret episode. The police work, well there are just no words for that other than brilliant. WOW! That’s really all I can say. The cast is superb. Rashida and Hayes have enough chemistry to boil a pot of soup. Jere Burns is a strong leader as Chet Atkins. Atkins is always in the game until he is out. He respects the rules of the game and you can’t ask for any more than that. DJ Tanner (Deon Cole) loves his partner and he’s not afraid to get sloppy with him. Deon is my favorite character in Black-ish and he delivers in this series. Always remember that it’s not a game. DJ Tanner will show you exactly what a game is and you will thank him immensely for it. Dr. Edelweiss (Alfred Molina) is always trying something new out. He enjoys experiencing everything that life has to offer. Monica Scholls (Andree Vermeulen) is the brains of the operation. Take note of the hilarious music and pop culture references when you watch the show. The guest stars are immense and ridiculous. Some of my favorites were Bill Murray, David Koechner, James Franco, Cecily Strong, Keegan-Michael Key, Danny Trejo, Amy Smart, Adam Scott, Lisa Kudrow, and Gary Cole. So many guest stars! I hope we get more guest stars from Parks and Recreation next season. That is my only complaint. I enjoyed Adam Scott but longed for more cast members. I like being spoiled. 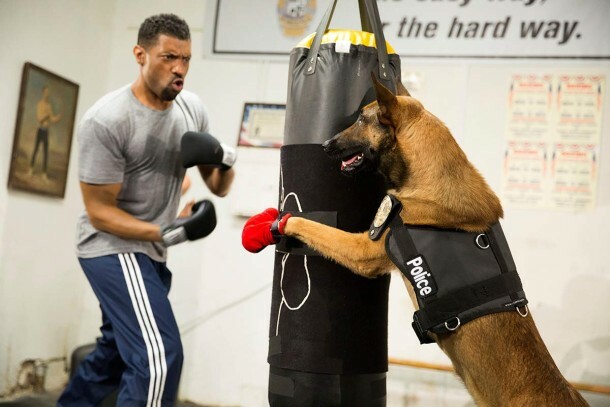 In short, watch the Angie Tribeca marathon today. It will tickle you in ways that will have you questioning if you should report it to someone. You are not alone. Prepare yourselves for what is about to happen. Angie Tribeca premieres tonight at 9/8c on TBS.